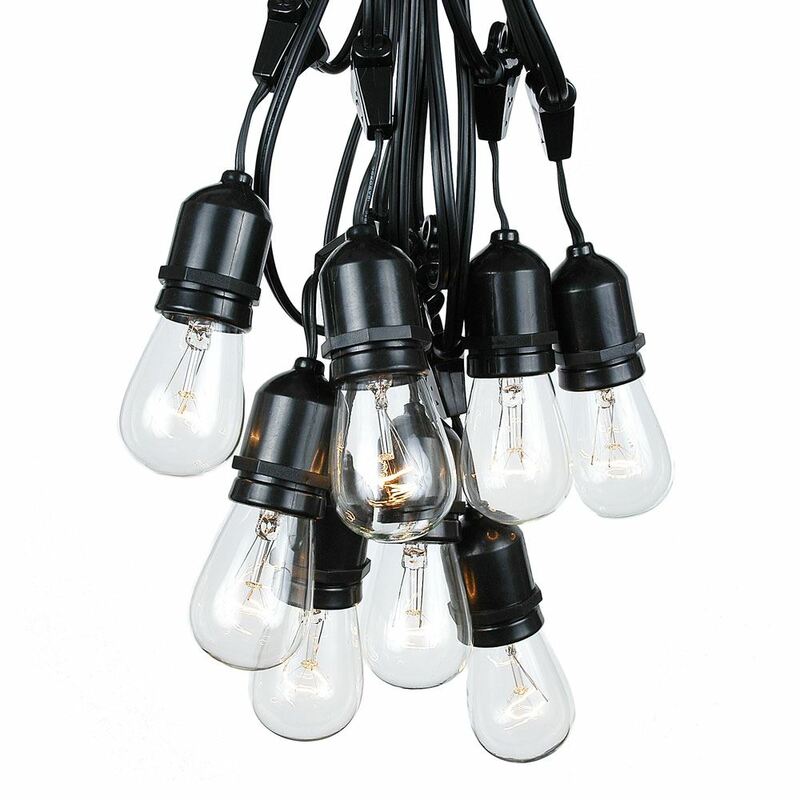 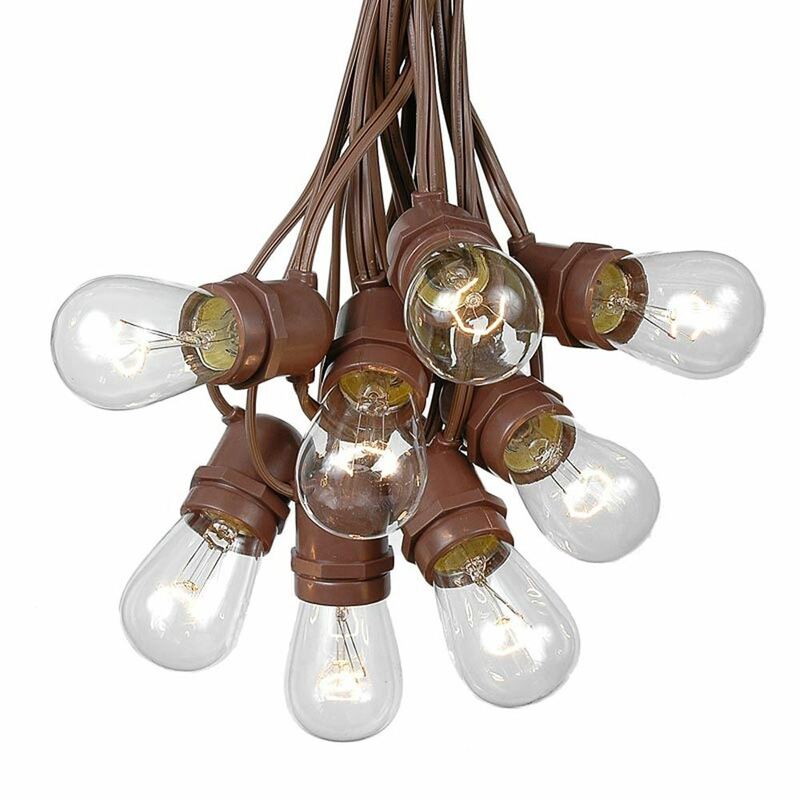 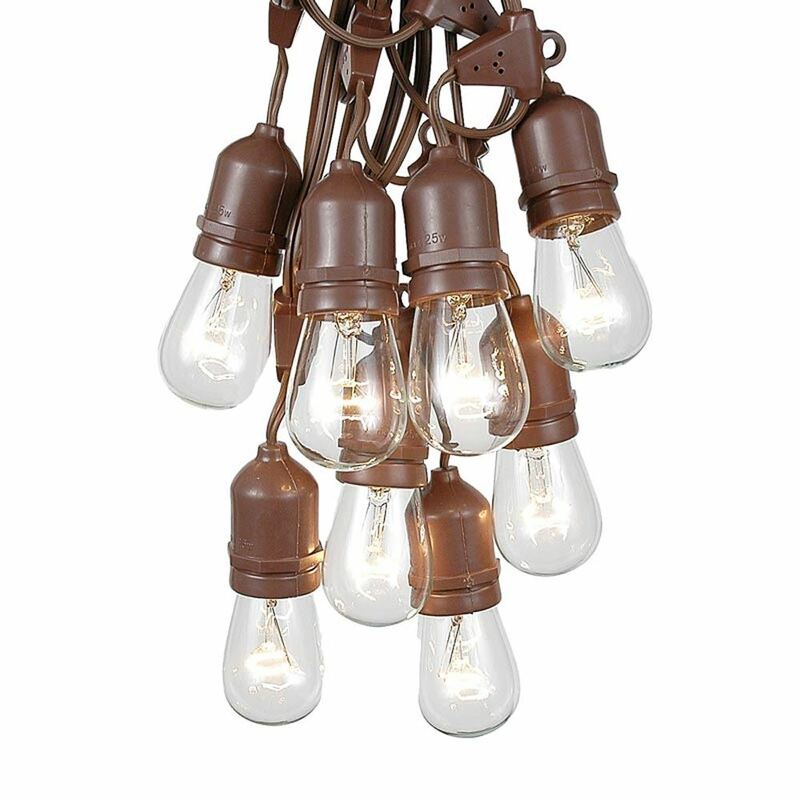 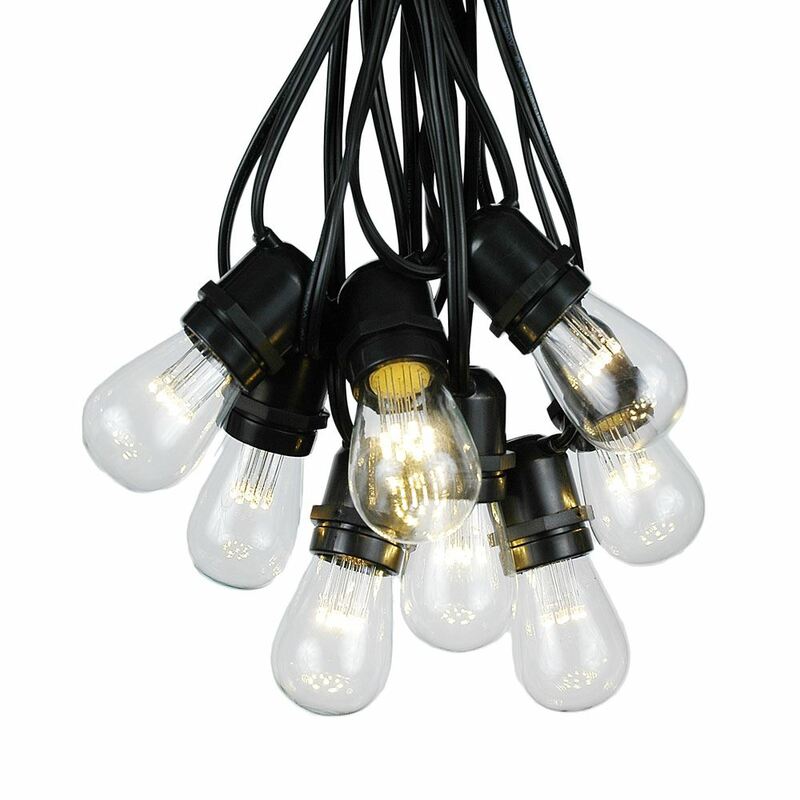 These commercial grade string lights with S14 bulbs are very heavy duty and suitable for year-round outdoor use. 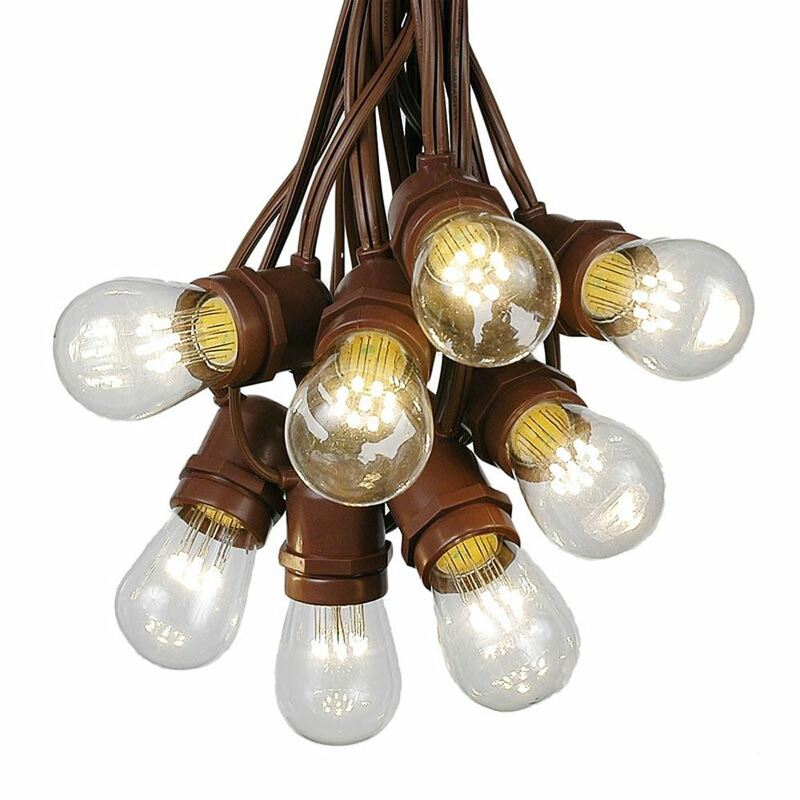 In these sets, our durable S14 bulbs are paired with our medium base commercial grade light strings, in brown, white or black wire. 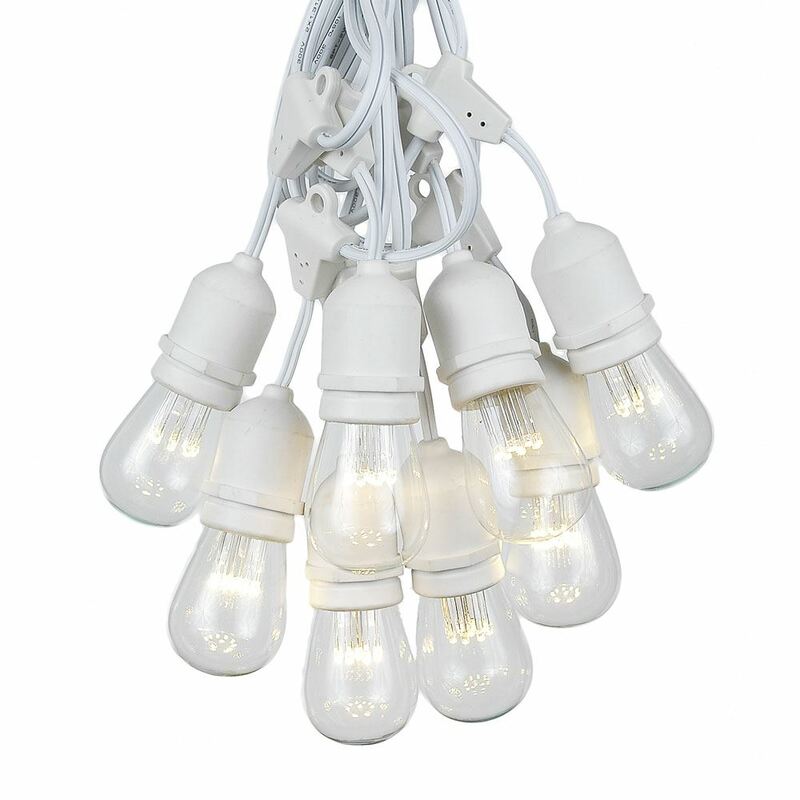 You can buy sets with our clear 11 watt S14 bulbs or our highly efficient and stunning warm white LED S14 bulbs. 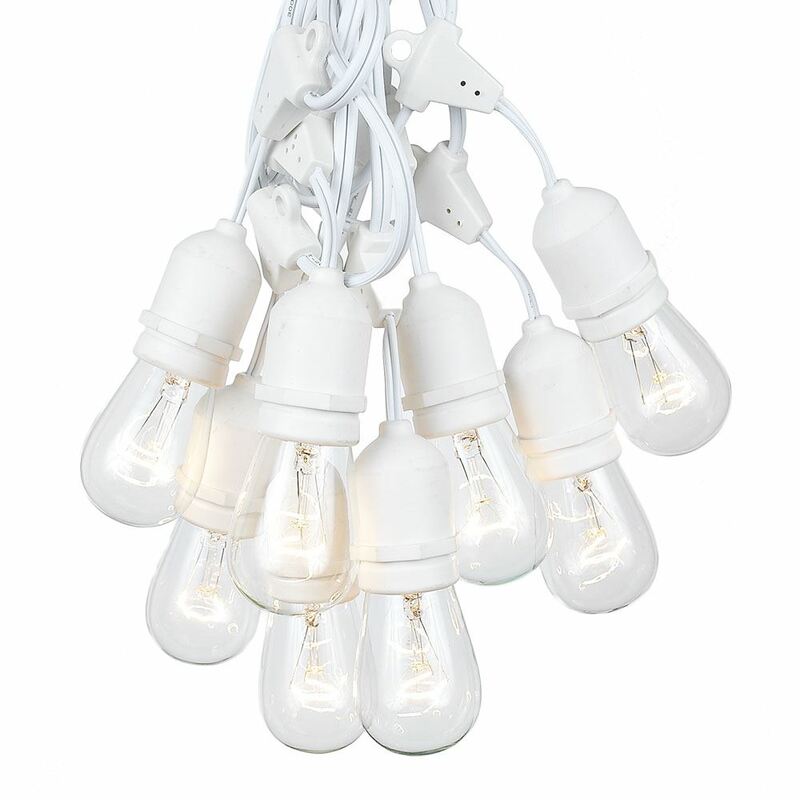 Use our S14 string lights to decorate your backyard, garden, patio, restaurant or special event. 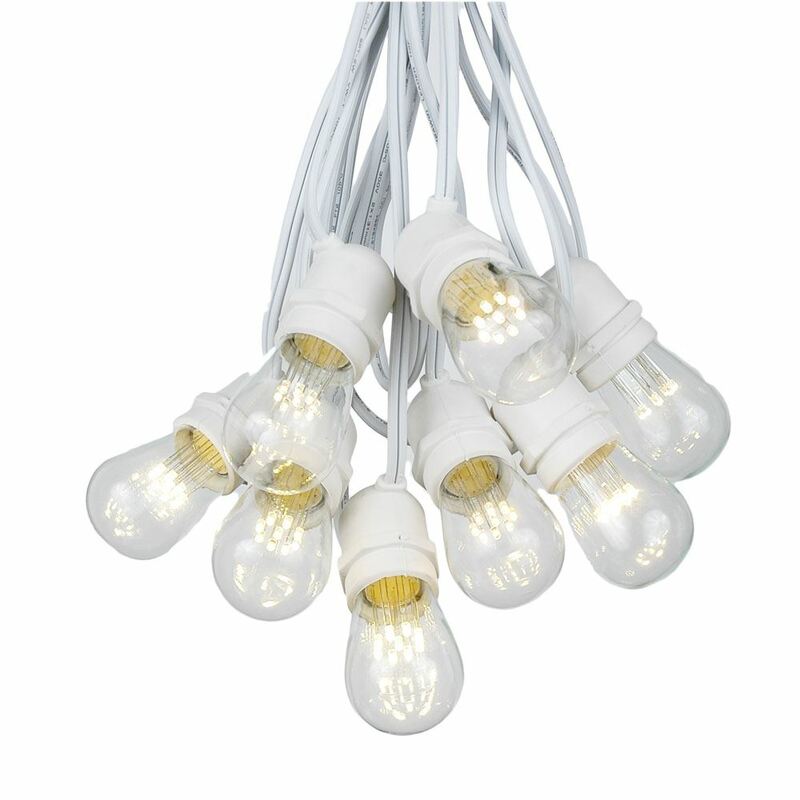 All of Novelty Lights S14 string light sets are suitable for indoor and outdoor use. 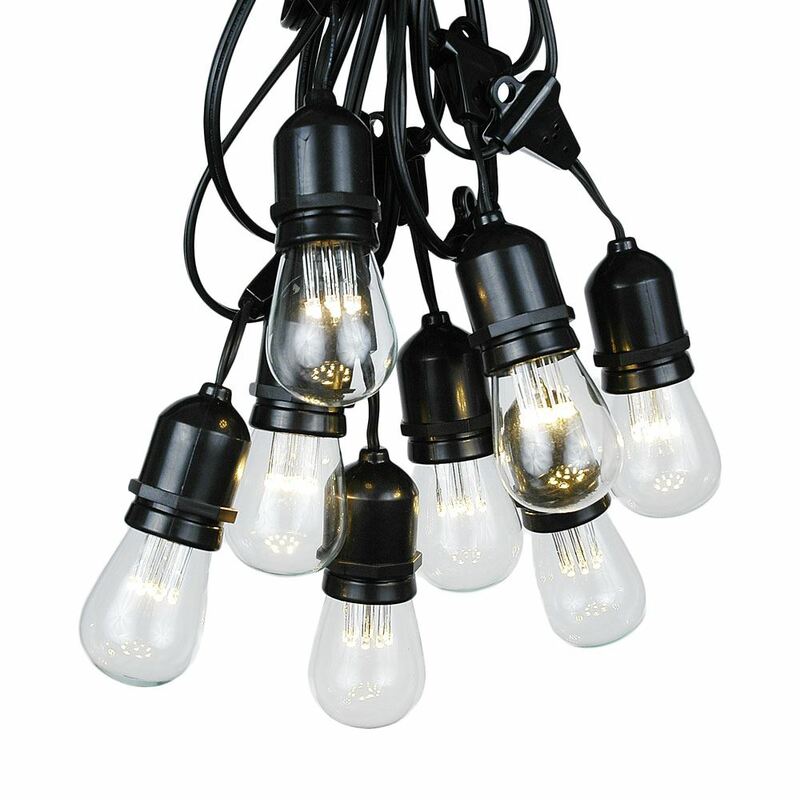 General Mounting Tips: Best to install the string without the bulbs in the socket to lessen breakage. 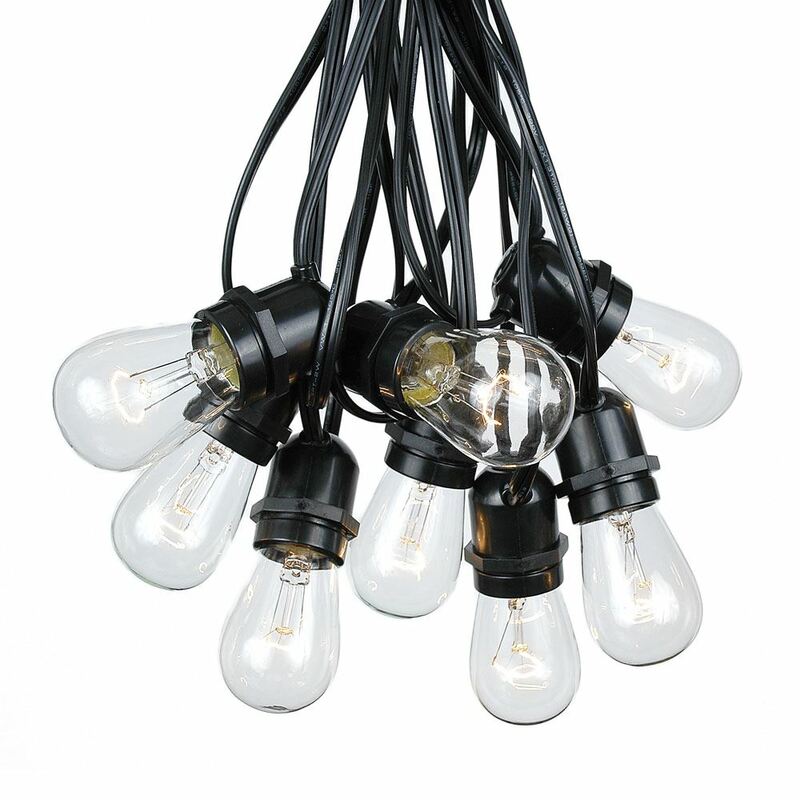 A guide wire is recommended to reduce stress of the string and provide a clean professional look. 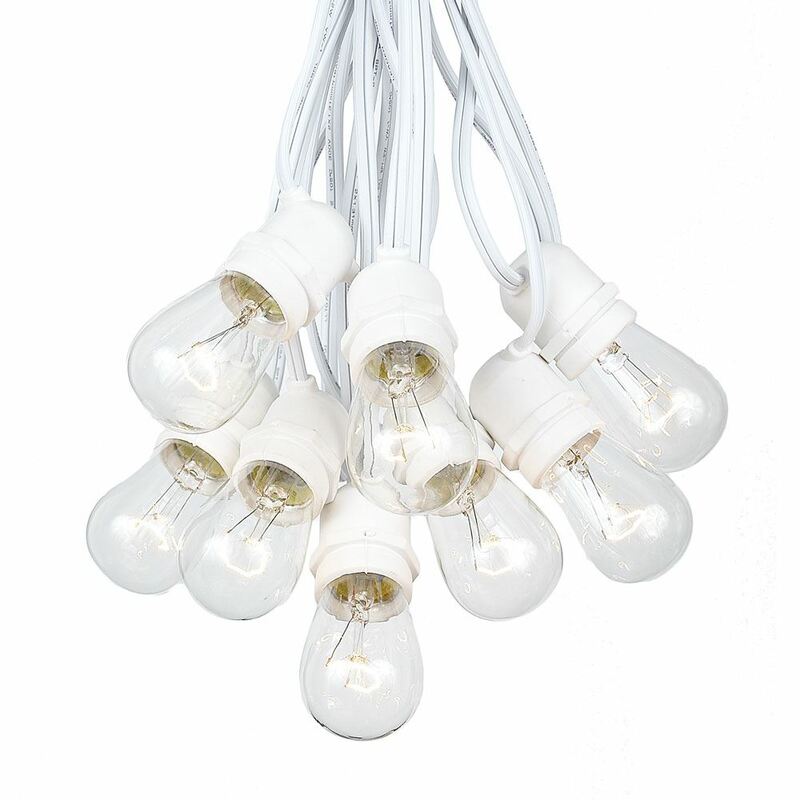 Make sure and screw in the bulbs squarely in order to make sure that no moisture can jeopardize the functionality of the string. 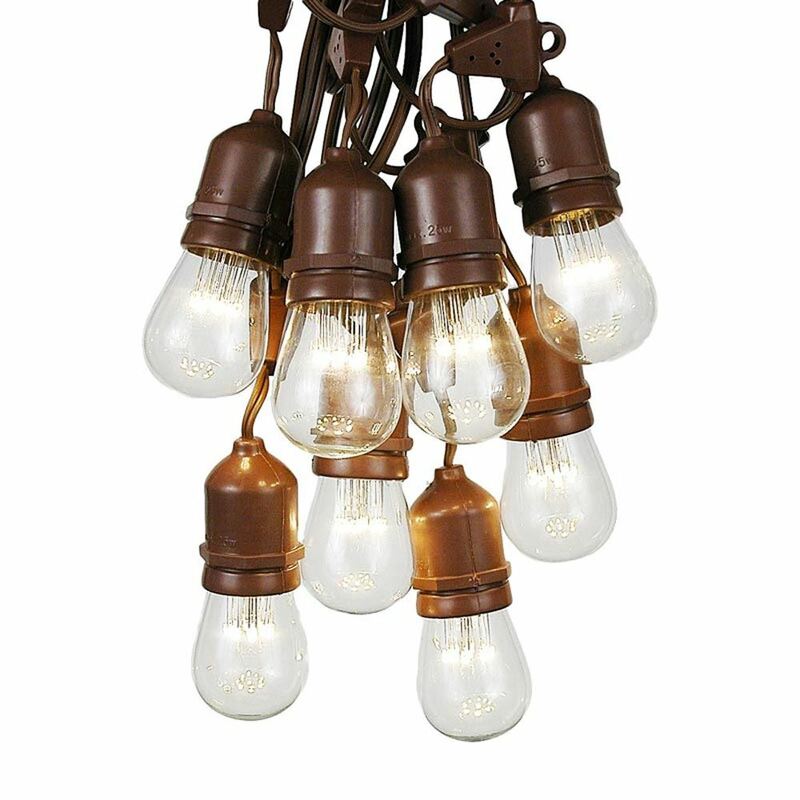 Other than that ENJOY our radiant and eye catching outdoor string light set!